There were two world records on the first evening of the two-day IAAF World Relays in the Bahamas on Saturday. Jamaica took 0.05 off the men’s 4x200m world record with 1:18.63, while Kenya also joined them in their record-breaking ways, clocking 16:33.58 in the women’s 4x1500m to smash the previous world best by more than half a minute. The team might have been without Usain Bolt, but Jamaica still went into the event as heavy favourites and they proved why as Nickel Ashmeade, Warren Weir, Jermaine Brown and Yohan Blake combined to break a men’s 4x200m record that had stood for 20 years. 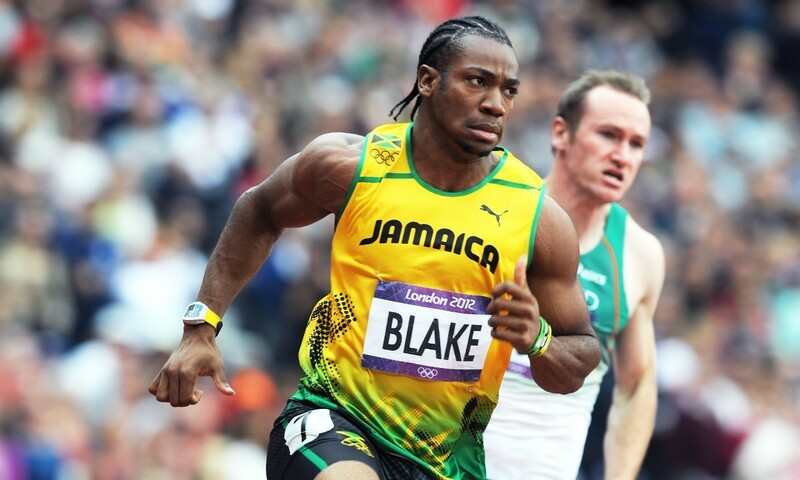 Blake, who formed part of Jamaica’s world record-breaking and Olympic gold medal-winning quartet at London 2012 and won the world 100m title in 2011, ran what was noted as an unofficial 19 seconds-flat final leg to anchor his team to a clear win ahead of St Kitts and Nevis with 1:20.51 and France with a European record 1:20.66. USA had crossed the line in second place, though they were later disqualified as their second exchange happened outside of the zone. They had been expected to be Jamaica’s main challengers for the title, but their 4x100m women did have more luck a short while later, as LaKeisha Lawson anchored the team – also including Tianna Bartoletta, Alexandria Anderson and Jeneba Tarmoh – to a world-leading 41.88 ahead of Jamaica with 42.28. Although she travelled to Nassau, Shelly-Ann Fraser-Pryce – who pulled out of the Shanghai Diamond League the weekend before – did not end up running. A Great Britain & Northern Ireland team of Asha Philip, Bianca Williams, Jodie Williams and Desiree Henry clocked a season’s best 42.75 for fifth in the final and having secured their spot in the top eight also automatically qualified for the event at the 2015 IAAF World Championships in Beijing. The other world best of the day came in the women’s 4x1500m as Kenya’s Mercy Cherono, Faith Kipyegon, Irene Jelagat and Hellen Obiri combined to clock 16:33.58 to smash the previous record for the more rarely-held event by more than half a minute. Like the Jamaican men’s 4x200m team, they take away US$50,000 for the win, together with a world record bonus of US$50,000. A Kenyan team had earlier also won the men’s 4x800m in 7:08.40 as Alfred Kipketer faded with the finish line in sight but held on for victory as Poland won the battle for second place and closed on Kipketer for a national record 7:08.69. USA were third with 7:09.06. The host nation delighted the vocal crowds by winning the final men’s 4x400m heat, Demetrius Pinder, Ramon Miller, Chris Brown and Michael Mathieu clocking 3:00.30 to qualify as quickest. Martyn Rooney anchored his GB team – which also included Michael Bingham, Conrad Williams and Nigel Levine – to victory in the first heat as USA won the second. In the women’s event, the second heat gave a bit of a preview to the final as USA beat Jamaica, while a GB team of Eilidh Child, Emily Diamond, Shana Cox and Margaret Adeoye claimed the third auto qualifying spot for Sunday’s final. In making the 4x400m finals, both the men’s and women’s GB teams also booked their places for next year’s World Championships. » See Thursday’s AW for further IAAF World Relays coverage. You can find an online report for day two’s action here.